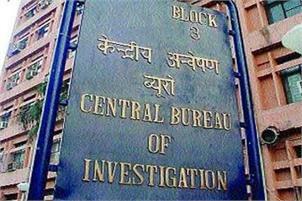 New Delhi; The CBI has registered an FIR in connection with alleged irregularities in the Rs 3,250 crore ICICI Bank-Videocon loan case and is carrying out searches Thursday at the group headquarters in Mumbai and offices in Aurangabad, officials said. The search operation started Thursday morning and also covered offices of Nupower, a company operated by ICICI Bank’s former CEO Chanda Kochhar’s husband Deepak Kochhar and Supreme Energy, they said. The agency had registered a preliminary enquiry against Videocon promoter Venugopal Dhoot, Deepak Kochhar and unidentified others in March last year, they said. The agency has now converted it into an FIR which means a full blown investigation has been started by the agency after registration of a case.